The best ETFs for Roth IRAs will include funds that are appropriate for a long-term investment objective. Since exchange-traded funds (ETFs) and other investments held in individual retirement accounts (IRAs) grow tax-deferred, there are also certain fund types that are ideal for this qualified retirement plan. Many investors have more than one investment account. Common investment account types include IRAs, 401(k)s, and individual or joint brokerage accounts. Since the various investment accounts receive different tax treatment and can be used for multiple objectives and financial goals, it's smart to know which investment types are best for each. The best funds for investing in an IRA or a 401(k) include long-term investments, such as stock mutual funds and ETFs. Since investments are not taxed while they are held in an IRA or 401(k), investors who want to invest in funds that generate taxable income should consider holding them in their IRA or 401(k). Since Roth IRAs are funded with after-tax dollars, not only do the investments grow tax-free but the withdrawals at retirement are also tax-free. Investors should note that withdrawals may be taxed in a Roth IRA if the account is not at least 5 years old and a penalty may apply for withdrawals made prior to the age of 59 and a half. Growth ETFs: Since IRAs are retirement accounts, you may have years or decades before you need to access money in the account. Therefore, it's important to take advantage of the growth potential of ETFs that invest in stocks. You may want to choose an ETF that invests primarily in growth stocks. Income ETFs: If you want to buy funds that produce income, such as dividend ETFs or bond ETFs, an IRA is an ideal account type to hold these funds. Since dividends from stocks and interest from bonds can be taxed as ordinary income in a regular brokerage account, you can avoid taxation by holding these investments in a Roth IRA. If you have a brokerage account in addition to a Roth IRA, it's smart to hold tax-efficient funds in it. These funds will produce little dividends or interest. Therefore try to avoid high-yield ETFs in a regular brokerage account. Investors are wise to have a diverse mix of ETFs in their retirement accounts and there is not one particular type of ETF that should be held exclusively in a Roth IRA. Therefore it's wise for investors to hold a range of ETFs from different categories in their retirement account, especially if the IRA is their only long-term savings vehicle. S&P 500 Index ETFs: Funds that passively track the S&P 500 index make good core holdings in Roth IRAs. The best ETFs that do this are iShares Core S&P 500 (IVV), which has an expense ratio of just 0.04 percent, and SPDR S&P 500 (SPY), which has expenses of 0.09 percent. Growth Stock ETFs: If you're an aggressive investor and you want to maximize potential for higher returns, you may choose a growth stock ETF like Invesco QQQ (QQQ), which invests in most technology stocks in the NASDAQ index, and Vanguard Growth ETF (VUG), which tracks the CRSP US Large Cap Growth Index. Expenses for QQQ and VUG are 0.20 percent and 0.05 percent, respectively. Dividend ETFs: Since dividends can be taxed as ordinary income in a taxable brokerage account, it's best to hold them in an IRA. 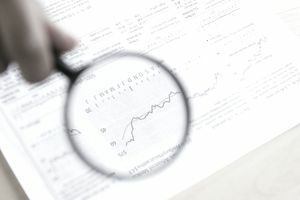 Two of the best dividend ETFs are Vanguard High Dividend Yield (VYM), which tracks the FTSE High Dividend Yield Index, and iShares High Dividend Growth (DGRO), which tracks the Morningstar Dividend Growth Index. Expenses for VYM and DGRO are 0.08 percent and 0.04 percent, respectively. Bond ETFs: As with dividends, interest from bonds and bond funds are taxed as ordinary income. Since investments held in Roth IRAs are not taxed, bond funds can be smart ETF investments. For broad market exposure, a total bond index ETF like iShares Core Aggregate Bond (AGG) or a high-yield bond ETF like iShares iBoxx High Yield Corporate Bond (HYG) a good choices. Expenses for AGG and HYG are 0.05 percent and 0.49 percent, respectively. Keep in mind that investors should choose investments that align first with their investment objectives and risk tolerance and second with their account type. Therefore a diversified portfolio of ETFs is a priority for most investors and the tax treatment or investment type is secondary consideration.